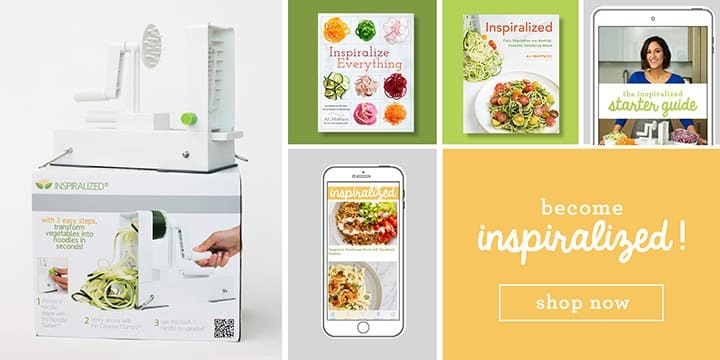 Inspiralized is the ultimate resource for cooking healthfully and creatively with the spiralizer, a kitchen tool that turns vegetables and fruits into noodles. Inspiralized was started out of a pure passion for eating healthy and helping others. 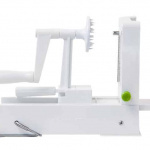 When our founder, Ali Maffucci, discovered the spiralizer and quickly learned how easily it could be used to make creative, delicious and nutritious meals, she immediately looked online and was sad to find that there was no community or resources available for those who spiralize. 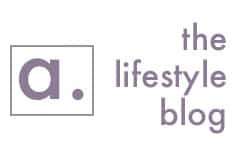 Committed to spreading the word about spiralizing and sharing her recipes, she started Inspiralized.com, the definitive resource for cooking with a spiralizer. To read the full story, click here.